With the recent Sony hack making the news, it’s hard not to wonder about the safety and confidentiality of information we move across the web. As the manager of ALTA Language Services’ translation department, I interact with clients ranging from government agencies to law firms who need to translate sensitive, confidential data on a daily basis. People often don’t realize how difficult it can be to control this data in a world where crowd-sourcing, cloud-sourcing, machine translation, and other new technologies have entered the market. One common culprit and example of this issue is Google Translate. Google Translate is an amazing resource for what we call “gisting” – perhaps you have hundreds of documents that may pertain to a legal case, but you’re unsure which documents are actually necessary as evidence. Wouldn’t it make sense to run these through machine translation to select documents that will go through a higher-quality, human round of translation? Those terms of service are certainly not congruent with the type of language we see regularly in non-disclosure agreements, yet I see law firms and other ventures regularly use Google Translate as a first-wave approach for translation services. Though slightly easier to control, crowd-sourced translation services suffer from the same issue. When we receive a document that is confidential, we weigh the client concerns for privacy with their expectations for time, cost, and our approach to the project. We’re upfront with clients about who will be working on their project – whether we can use someone overseas, whether we use someone state-side, and whether this person requires any special type of secret clearance (for government projects, for example). We document the translator approached for the project and give access only to those translators that need the files. There is complete traceability and accountability. With crowdsourcing, automated systems typically alert hundreds of people simultaneously to the availability of a project. Those hundreds of people all have direct access to the file(s) in question. The work gets done faster, but what should be a fairly straight forward trail of information is suddenly obscured by a huge network of translators who have access to the job and how each of them protect and store confidential information. So, say you’re a small law firm and need to get through thousands of pages of documents for a discovery process. My advice? 1. Gisting can be an important step in discovery, but be careful in the way that this is approached. If you use machine translation regularly, it may be worth purchasing machine translation software that stays local and does not upload to a larger database. 2. Even better, consider hiring professional help for parsing through the initial set of documents. Legal staffing firms can provide bilingual legal review teams to help parse through the data without compromising its confidentiality. 3. Once the relevant documents are determined, use a professional translator for a more accurate pass. Make sure to tell your translator what you are looking for – for example, if a particular clearance level and/or if U.S. citizenship are required. 4. Make sure the translator(s) or agency have a non disclosure agreement filed with you prior to releasing those files. 5. Use a secure submission method for sending the files – depending on your settings, simply emailing documents can often create weaknesses in the security of files. ALTA has more than 30 years of experience providing translation, transcription, and localization services to law firms, government agencies, and international corporations and organizations. Our translation clients require the utmost confidentiality and expect us to keep their documents, personal correspondence, and business materials secure. 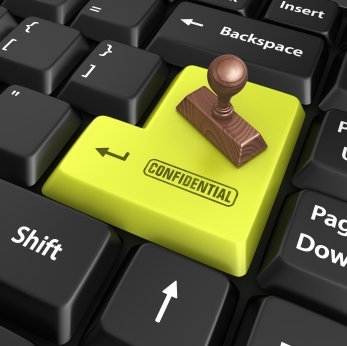 Confidentiality is a top priority for all of ALTA’s translators, project managers, and staff, so we adhere strictly to the Safe Harbor Agreement, and we provide an additional level of protection with on-site security. Our Translation Quality Management System is also ISO 9001:2008 certified. We’re proud to say that we passed the compliance audit without any nonconformity. Contact us today to get started on your next project!